Yes, I said it, Bacon of the Sea. Read my text, this isn’t the Chicken of the Sea. Alright, hear me out on this. When we first heard about this we were casually visiting with our fish monger and looking at the usual options, salmon, halibut, tilapia, and the rest of the usual suspects. It was clear that we weren’t excited about any of these options that day. That was it, we were sold and walked away with our first Cobia. Needless to say, we have been back a handful of times since then to buy this amazing fish. You will see why by the time this post is over! Below is a link from NOAA about Cobia if you want to learn more about this fish. 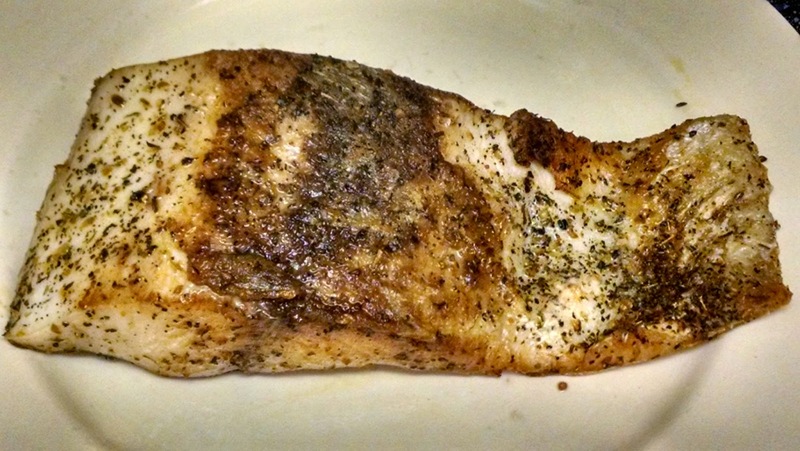 Season a little heavier than you would for an average white fish (see photo below for a better idea on seasoning). Apply any seasonings you like on fish. For our purposes we used salt, pepper, dried basil and dried oregano. Resist the urge to flip, shake or turn the fish. Do you see a pattern here? 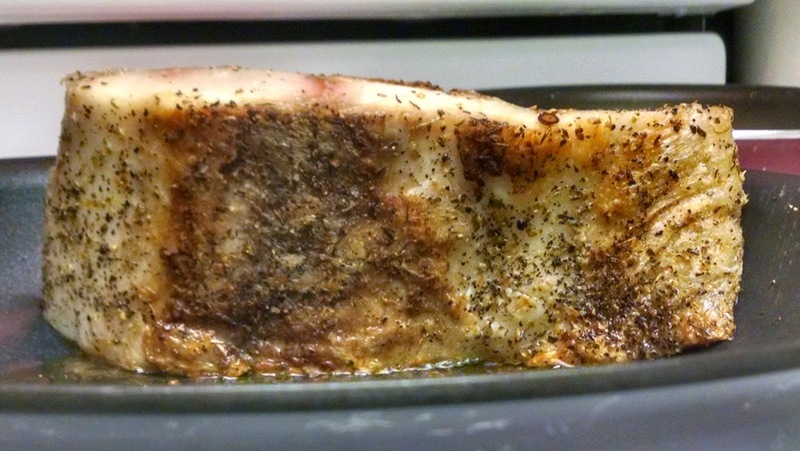 We want caramelization — nay, we need it to get the most out of this fish. Little to no oil is required for this cooking application. I try to use a little just to help the fish get started. I mean, seriously, could it be much easier? I suppose now I should actually put down the computer and cook the fish, huh? 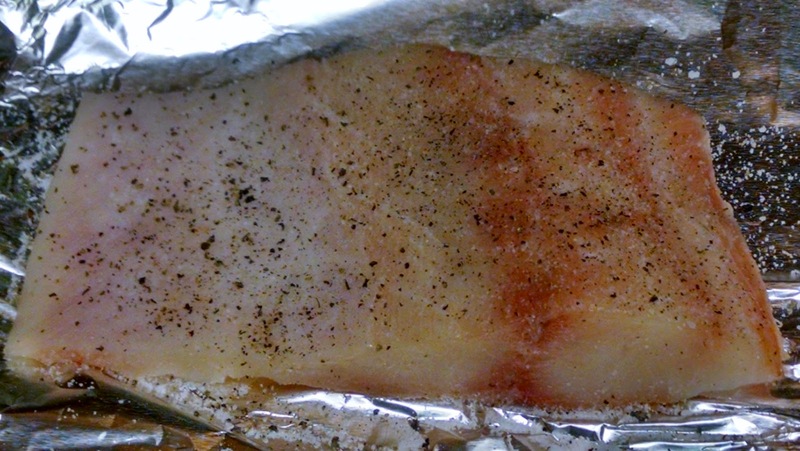 Here is a Cobia fillet: although we typically get a loin piece to share. 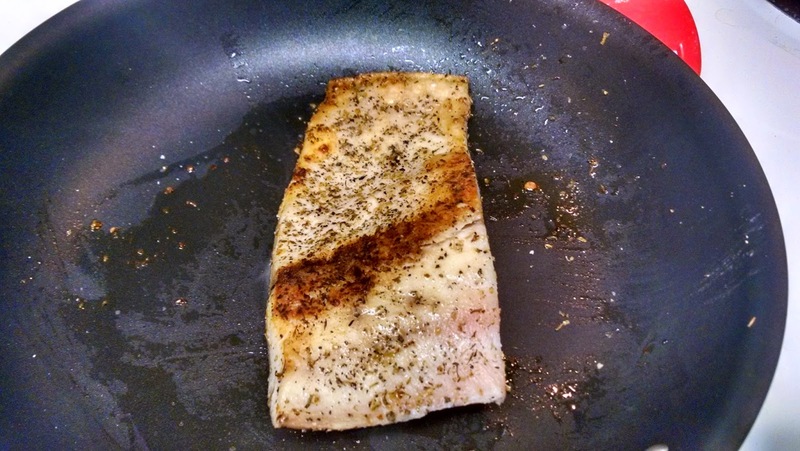 Cobia seasoned after adding basil and oregano. 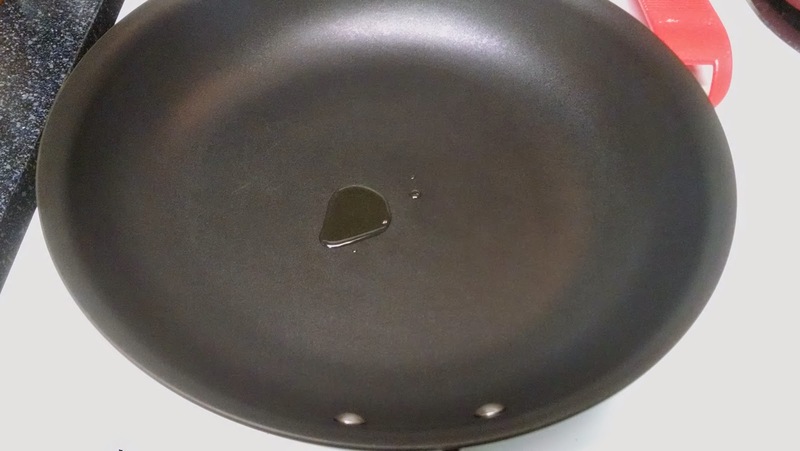 A bit of oil in the pan. Remember, you only need just over a quarter sized amount of oil to get this fish going. Fish on! Yes, I went there. First Flip. This is what we want. We will get more color on this fish shortly. Here is a side view of the Cobia. This gives you a good chance to see what we are after. Again, we are achieving massive flavor here. Remember, your patience will pay off. Just like that you are done and ready to enjoy! You can use a slice of lemon if you want, but I strongly recommend you taste the fish first before you add anything else. 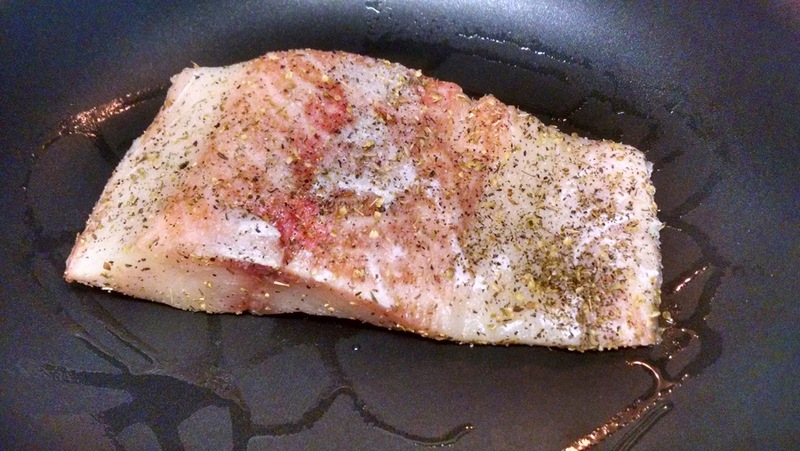 Cooking Cobia should take between 8-12 minutes. Keep in mind, the size and shape will either help or hamper the cook time. 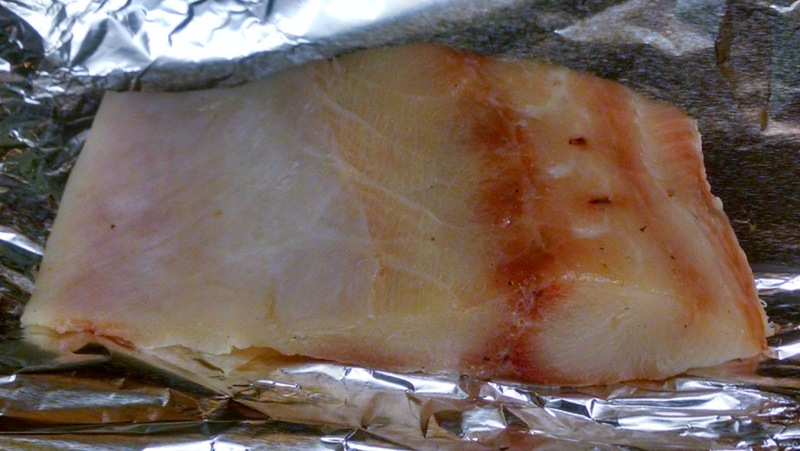 You know when the fish is done when it turns white and slightly opaque in the middle. 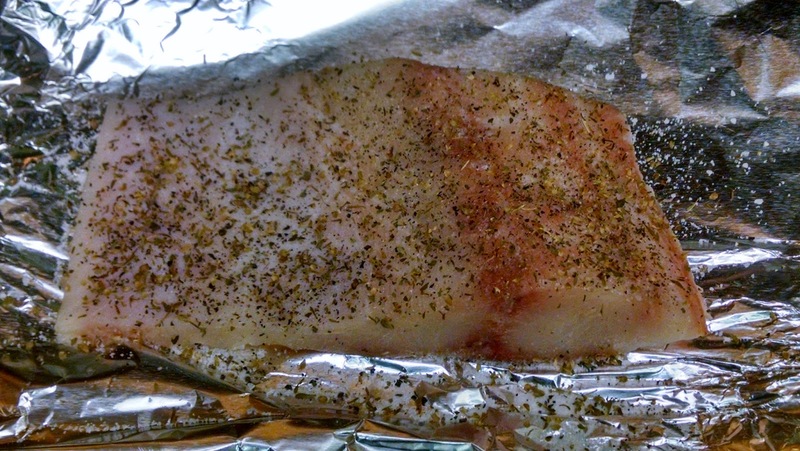 But you don’t want to overcook it either, so the fish should be moist and glistening on the inside. 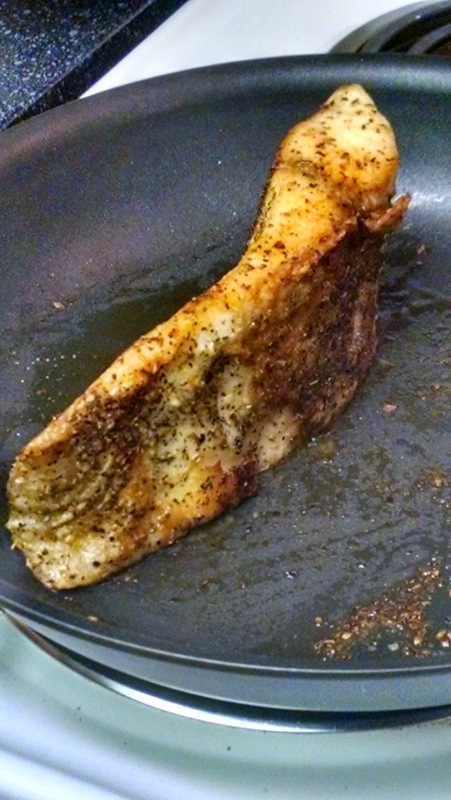 Even if the fillet is a little under, that’s OK because you will get a little carryover heat after you have removed the fish from the pan. Because this is a rich, flavorful fish it is important to think about what you are serving with it. 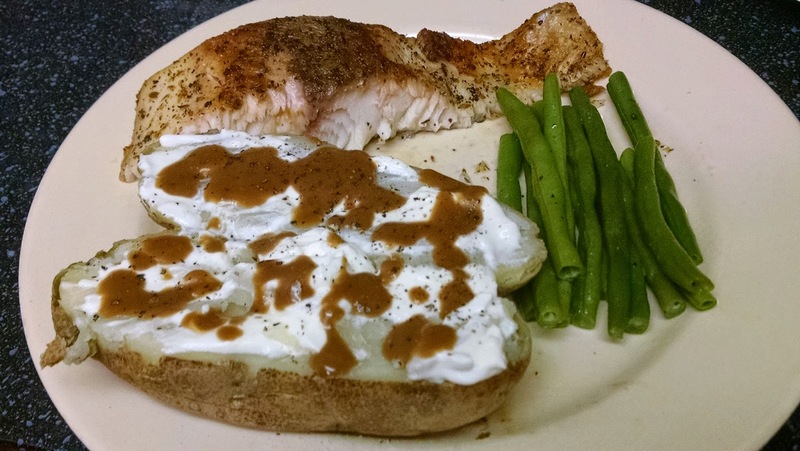 While serving green beans and potatoes is OK, this fish needs some contrasting flavors that come to the party. For that reason, a salad with a dressing that is vinegar based (balsamic, red wine, Italian, etc. ), or a salsa with some fruit or something that is a little spicy would work well. Anything that will give you a burst of freshness would fit the bill. I could list more ideas, but I plan on covering some sides/dressings going forward that will work well here or for any meal. Enjoy your Bacon of The Sea!